What you need to know when you hire a nanny. What you need to know about insurance when you hire a nanny. You've done it—you've hired the perfect nanny. The kids love her, and you know she'll do a fantastic job caring for your children. Well, not so fast. Just because you've got a nanny for your family, it doesn't mean you're all set. Once you've hired a nanny, she's become your household employee. And in Colorado, that means you need to pay attention to the laws, rules and regulations that apply to your new role as household employer. That includes nanny workers' comp insurance as well as pay guidelines. If you're wondering why you even need workers' compensation insurance, think again. Not only is it the law, but the fact of the matter is accidents happen, and you need to make sure you're protected. We've created a checklist that covers what you need to know when it comes to nanny workers' comp. In Colorado, if your nanny regularly works 40 hours per week (full-time) or five or more days a week, you must have workers' compensation insurance. Now, even though workers' comp is not required for part-time household employees, it's well worth it to make the investment. 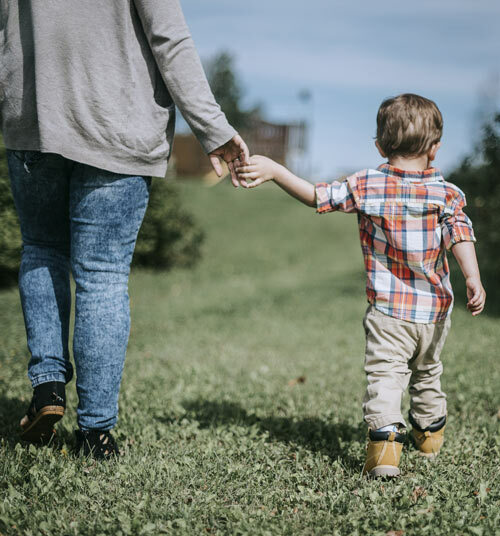 Workers' compensation insurance has plenty of advantages both to your nanny and you—a comp policy provides them with benefits in case they get injured on the job. And, it can also protect your liability. There are horror stories out there of nannies who have fallen at work or gotten into a car accident, and because workers' compensation insurance didn't cover them, their employers (you) end up footing the bill for years to come. In Colorado, the law requires you to withhold taxes every pay period, remit taxes quarterly and give your household employees an itemized pay stub. The best way to do this is to set up a payroll system to ensure your nanny gets paid accurately and on time. Poppins Payroll makes this easy and keeps track of all pay stubs and collects and remits any necessary withholdings and taxes automatically. This is an easy and accurate way to comply with the nanny tax requirements in Colorado. Currently, Colorado's minimum hourly wage is $10.20. That will increase to $11.10 in 2019. These are the minimum hourly rates you must pay your nanny as required by law. If your nanny works for you full time and draws a salary, it's a good idea to agree to a set number of hours per week in her salary. When it comes to overtime, the Fair Labor Standards Act requires household employers in Colorado to pay employees 1.5 times their hourly wage for all work that exceeds 40 hours in a week. If your nanny lives with you in your home, the rules are slightly different. They qualify for overtime over 40 hours, but the wage remains the same as their standard hourly rate. Nannies are often shuttling the kids between play dates, school anderrands. That means you can't forget about your car insurance policy. If your nanny uses your car, include them on your insurance as an additional driver. If they drive their vehicle, note you will have to reimburse for mileage, gas and any wear and tear while on the job (commutes don't count) at the current federal rate. You can find that here. It's very common for people to discover their homeowners or renters insurance does not cover any workers' comp claims. If you aren't sure, it's always a good idea to speak with your insurance provider and ask how your current policy covers household employees. Do you want to know how you can protect your family with and your nanny with workers' comp insurance? Click here to get a quote from Cake today.